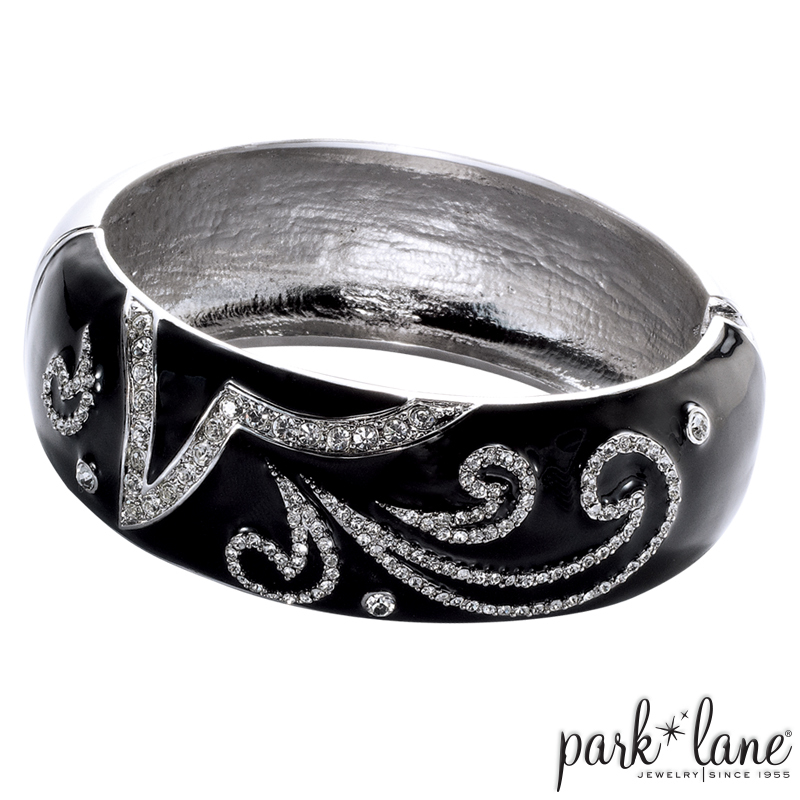 FASCINATION bracelet	Hostess Only Collection The glittering crystal scrolls, swirls and accents that embellish FASCINATION bracelet's jet black enameling are totally, fascinating! The bold cuff is hinged and the bracelet base is silvertone. Stunning worn solo, in multiples, or stacked with other bangles! Fascination bracelet complements: Rings: Noche, Onyx, Juliet, Panda, Bellagio Flatters most any black and clear crystal accessories. Try it with Rich and Famous necklace, Night and Day earrings, Luxedo necklace, The Rage-black bracelet, Panda ensemble, Juliet ensemble.